With comprehensive theming you can completely customize the look & feel of your Open edX instance while also protecting your customizations from being overwritten by future platform upgrades. This tutorial will help you get started on the most common theming tasks like a custom header, footer, logo and adding your Google Analytics tracking code. Open edX’s Comprehensive Theming Framework (also known as “Stanford Theming”) provides a powerful and infinitely flexible way for you to tailor your user interface to your unique needs. By leveraging the comprehensive theming framework as opposed to directly editing UI source code you’ll also be able to better manage your customizations and protect your work from the risks of being overwritten whenever you upgrade your Open edX platform. Note that there is good system documentation located on your Open edX installation Ubuntu file system: /edx/app/edxapp/edx-platform/themes/README.rst, and also in the Open edX Official documentation. The basic software pattern for Open edX’s comprehensive theming framework is refreshingly similar to theming systems with which you might already be familiar, such as Drupal and WordPress. In the case of Open edX, the platform ships with a default theme that is preloaded with the standard “Native Build” installation. 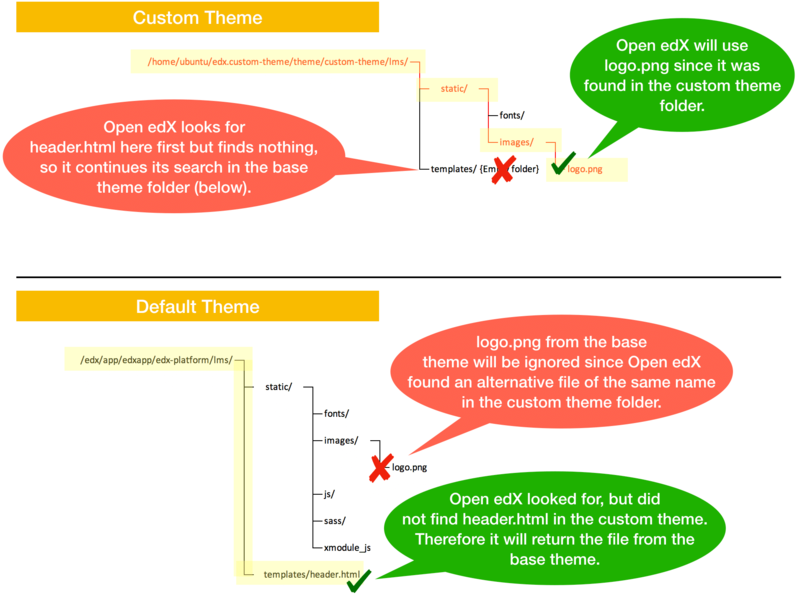 If no alternative theme is specified, as is the case when you’ve only just installed the platform, then Open edX renders the UI using the files from the default theme. Once comprehensive theming has been enabled then Open edX will first look for files in the custom theme folders, reverting to the files from the default theme only in cases where files were not found in the custom theme folder. 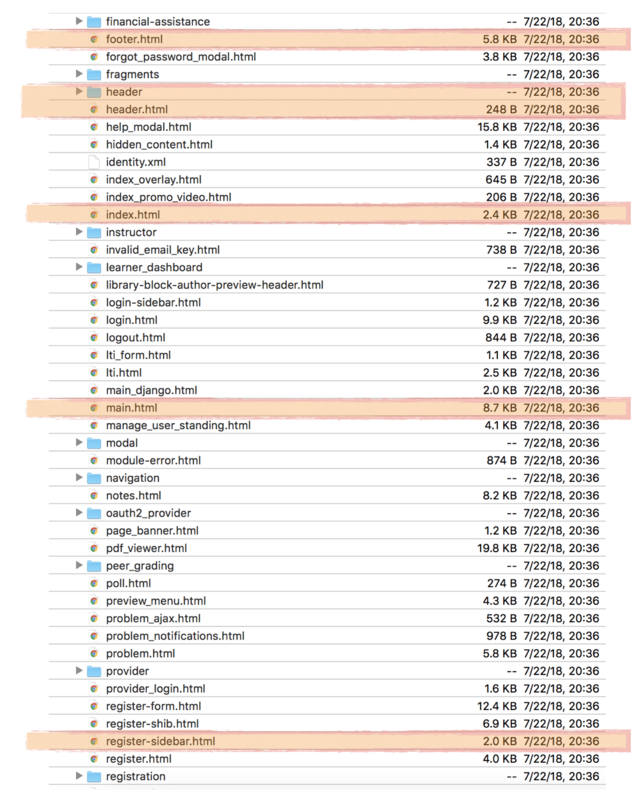 Lets take a closer look at some of the contents of the default theme files and folders. 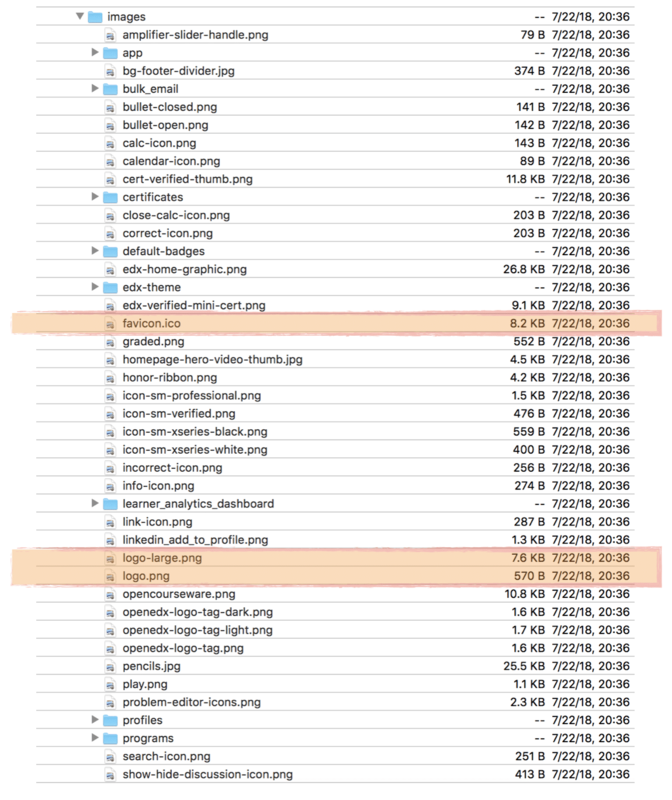 Take note of the highlighted files as these are the most commonly customized parts of the default theme. Note: you’ll need to create a free Github account if you don’t already have one. Once you’ve forked the repository the basic idea is that you’ll manage this like any other software development project. 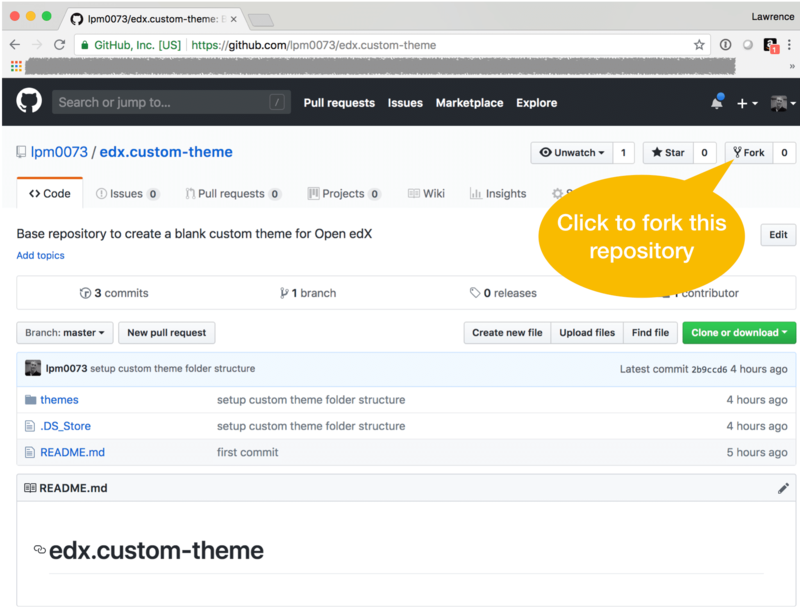 You’ll copy source files from the Open edX default theme into your repository folders, and then permanently manage these files using Github as your source control system and code repository. 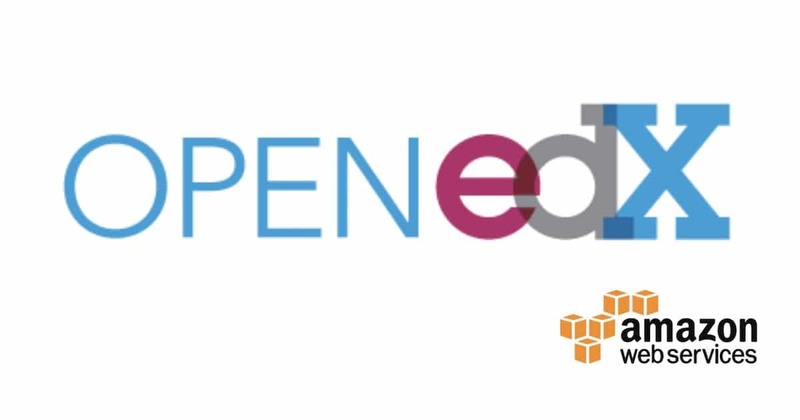 SSH into your Open edX Ubuntu instance and then clone your repository into the home directory. 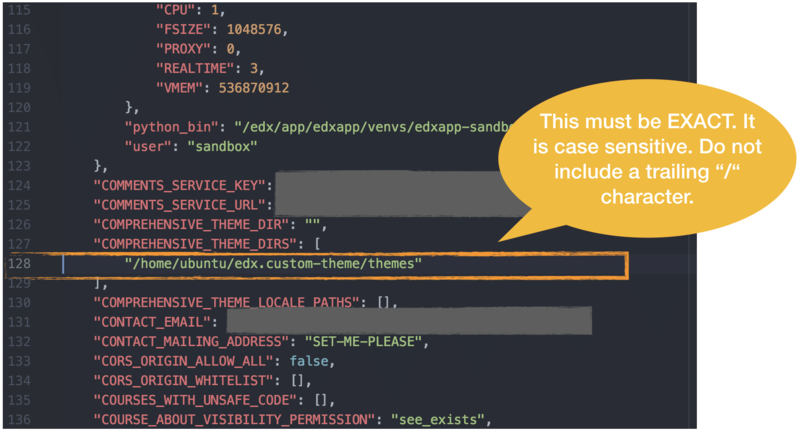 For this tutorial I’m going to use the path to my own original edx.custom-theme repository, so make sure that you edit the path information so that these commands point to your forked repository. Update September 24, 2018: Please take note that on my most recent installation of Hawthorn I was unable to compile static assets after cloning the sample theme into my home folder. Instead, I had to move the theme folder to /edx/app/edxapp/edx-platform/themes, where incidentally you’ll find a set of additional preinstalled themes created by the Open edX team. Some of the comments below suggest that others have recently run into this same problem. This problem might work itself out in subsequent releases, so for the time being I’m leaving the original technical instructions unchanged. Once again, keep in mind that these code samples reference my Github repository rather than your forked repository, so make sure you edit the path data accordingly. This file has around 400 rows of parameter values, and you’ll make edits in three different parts of the file so make sure to take note of the row numbers in the screen shots below. Update September 24, 2018: Please also take note that if you cloned your theme into /edx/app/edxapp/edx-platform/themes then you’ll need to modify the lms.env.json parameter value “COMPREHENSIVE_THEME_DIRS” accordingly. In most cases, the effects of modifying your custom theme will not take effect until you re-compile static assets. The Open edX static asset compilation process is somewhat murky to me, but so far I can confirm that it uses both Webpack and Paver to consolidate static assets into a single location (which incidentally is /edx/var/edxapp/staticfiles/) and then it encodes the files with system-generated filename suffixes, which as best I can tell is a crude way to invalidate client browser caches. One exception to the re-compilation requirement is Mako templates, which are magically evaluated real-time. AWESOME! Take note that this process runs for around 15 minutes, and your Open edX platform will not be available until the process completes. Also be aware that if your theme contains any compilation errors then your Open edX platform will almost certainly break. # 4. execute paver to recompile static assets for the LMS (Learning Management System) Django project. #    this takes between 10 and 20 minutes to run, and generates a LOT of screen output. #   above do not work. You have to restart the LMS and CMS for two reasons. First, you modified the Django environment configuration file lms.env.json and in order for these changes to take effect the file needs to be reloaded, which is most easily accomplished by stopping and re-starting the application. Second, you recompiled static assets, and for reasons entirely unknown to me this necessitates a restart of at least the LMS (but restart both LMS and CMS just to be safe). Hi, I’m having an issue in compiling static assets. I done all the steps recently along with Chris’s problems, but anything doesn’t seem to work. I’m trying to build a VM in Azure. you have permissions problems, and perhaps file and ownership problems as well. the path /edx/app/edxapp/ and all subdirectories should be owned by ‘edxapp’. the group varies: some files / directories are ‘edxapp’ whereas others are ‘www-data’, so you should review the file system and look for any outlying cases and modify accordingly. Thank you for your response. I’ll try to fix it. Thanks for your wonderful blog, Lawrence. It has been a life saver. Should it not be one of these? And I had no clue whats happening!!! I reinstalled the open edx from scratch but the same issue was occurring. and I was overwhelmed by the successful run of “update asset” command. May be other users will stumble upon this. Thanks for pointing that out Jaleel. I just changed the code highlighter from Google Prettyprint to Alex Gorbatchev’s SyntaxHighlighter (http://alexgorbatchev.com/SyntaxHighlighter/), which seems to work a lot better. No need to compile static assets to enable comprehensive theme. It just works once you restart LMS. I only edited *.html file and once I restart LMS those changes were reflected. often the problem is a syntax error in one or more of your scss files. regardless, you’ll find meaningful debugging information in the screen output. Hi Lawrence, I copied the theme directly from your github and without any changes. you need to read the screen output to determine the source of your problem. if you want you can pipe it to an output file and email it me, and i’ll take a look. — lms sass for system. But the change that I made to favicon.ico is reflected in the LMS after I restart lms. Does it mean my compilation successful? I reset my instance of open edx back to the state after enabling SMTP and still encounter the build failure when I try to rebuild the themes. I have not put anything into the themes folder. I did edit lms.env.json and cms.env.json to use the red-theme. In this moment i have the same problem of Chris, i was move to edx/app/edxapp/edx-platform/themes but doesn’t work!! please help me!! when compiling assets there is a lot of screen output. you need to review this carefully. most likely you have a syntax error in your Sass files (at least, that tends to be the case for me). if there are any other problems then you’ll find some error messaging in your screen output. hi Yafe, great question. unfortunately no. Hawthorn includes several example themes which, if you’re not using them, you can delete to speed up the process somewhat. when i finish pavar i get some files lms-main-v1-rtl.css,lms-main-v1-rtl.css not found error in the browser console. any suggestion for a real solution? I tried do what you say on my native installation, but without any success. After paver compilation, apparently without any errors but with many warnings, when I access the lms I get a lms-main-xxxx.css not found error in the browser console. hi mario. Paver generates several dozen deprecation warnings. these are normal. however, file not found error makes me wonder if maybe you have compilation error(s) in your scss files? It gives me this error below. I don’t use AWS to install it but another cloud. I have removed –settings=aws but the error still the same. What could have been gone wrong? Hi chris, the message, “Build failed running pavelib.assets.update_assets” means that the Paver / Webpack process encountered errors within your theme files. themes are tricky to trouble-shoot since the Paver process takes so long to run; usually 10 minutes or so on most builds. I’d suggest that you strip down your theme theme to the bare minimum and then gradually add files / assets, recompiling assets until you isolate your problem. good luck!! The theme that I used was the one that I forked from your github. I haven’t added anything to it, so it was the first time I ran it. 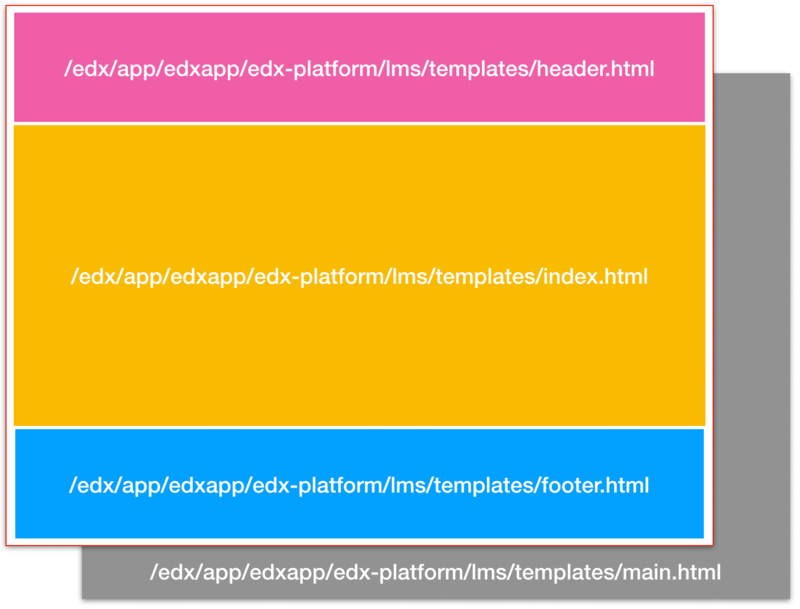 ok. try this: move the theme files to /edx/app/edxapp/edx-platform/themes/. don’t forget to modify the path in the array parameter, “COMPREHENSIVE_THEME_DIRS” accordingly. i had to do this on my most recent hawthorn installation. if that still does not work then temporarily disable comprehensive theming by setting ENABLE_COMPREHENSIVE_THEMING = false and then attempt to compile static asset one more time, just to verify that it works with your default installation. When the comment is posted it merges the two characters into one.